Gillware is the data recovery company you can turn to when you need help. Whatever situation you’re in, we’ve been there and we’ve seen it dozens, hundreds, or even thousands of times before in our lab. Gillware’s story began over fifteen years ago. Since those early days of two self-taught engineers putting their computer science backgrounds to work in a basement, we have emerged as a data recovery company with some of the best and brightest minds in the entire industry at our lab’s disposal. If you are looking for an affordable and competitive data recovery company, look no further. 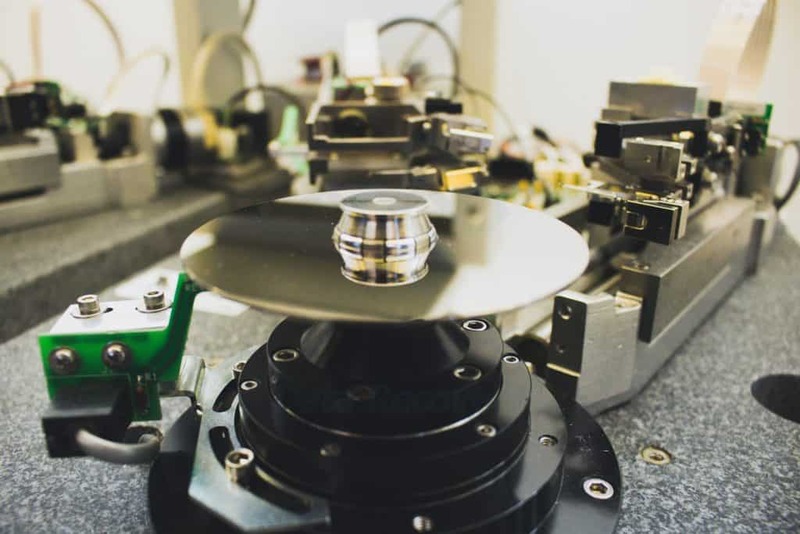 Our Madison-based lab staffed with data recovery experts make it easy for us to offer world-class data recovery services at lower prices than other labs. Of course, what’s important to us isn’t that we deliver cheap services–it’s that we deliver the best services in the most efficient way. At Gillware, our expert engineers repair failed hard drives in ISO 5 certified Class 100 cleanroom benches. We utilize cutting-edge proprietary technologies of our own design to recover data, such as our intelligent forensic imaging software and hard drive platter burnisher. Whether you have a broken hard drive, a snapped USB stick or dead SD card, or a dozen hard drives in a RAID server with ESXi virtual machines, we know better than anyone else how to help you. Gillware is the only data recovery lab that treats victims of data loss as people instead of customers. We take the stress out of painful data loss situations. No matter your situation, we can help you. Gillware is a leader in the Data Recovery industry. Click here to let Gillware help get your data back! Brian and Tyler Gill created Gillware in 2003 to address a need for affordable, customer-friendly computer data recovery services. With their expertise and experience with computer and mechanical engineering, the Gills researched hard drive data recovery tools and methods and taught themselves to repair broken hard drives. Running a secure lab that can confidently handle clients of all sorts, including the healthcare industry and government agencies on the federal, state, and local level is one of the most crucial elements of any data recovery company. Gillware Data Recovery is a HIPAA compliant data recovery company. Our entire process meets federal requirements for keeping confidential medical data safe. Gillware is also a GSA contract holder. This means we meet all of the necessary security requirements that allow government agencies to use our services without worrying about the safety of their data. Our headquarters and lab in Madison, Wisconsin is locked, monitored, and audited for SOC 2 Type II security, with every employee fully screened and background-checked. A third party analyst reviews all of our facilities, procedures, and networks to make sure we meet SOC 2 standards. Any data we recover only leaves our building when we send it back to our client. And our post-recovery drive sanitation procedure completely erases all of the data we recover from our facility once the client’s data is in their hands. Gillware soon began to rapidly outgrow its humble beginnings and attracted some of the greatest minds in the industry. At Gillware, we now have over 30 world-class data recovery and forensic experts on our team. As a small business located in Madison, Wisconsin, we are able to provide their inimitable expertise at a more sensible price than other labs with a fraction of our talent. Our newest offshoot, Gillware Digital Forensics came into existence in 2016. Gillware Digital Forensics specializes in forensic data extraction and recovery, especially from mobile devices. The main purpose of Gillware Data Forensics is to provide forensic data recovery services to police departments, law firms, corporations, small businesses, and any other end users in need of forensic investigations. GDF’s president and co-founder, Cindy Murphy, is a passionate forensic investigator known throughout the world for her expertise and drive. With the help of an exceptional research and development team, Gillware is able to handle many data loss scenarios with unparalleled success. When Brian and Tyler Gill came up with the idea for Gillware in 2003, there were no sensible data recovery options for home users and small businesses. All professional data recovery labs catered their services toward large corporations and other organizations with big budgets and for whom, they assumed, data loss had higher stakes, and their services were priced accordingly. But losing data has high stakes for small businesses and end user, too, and Gillware’s mission since the day of its founding has been to make the same professional, world-class in-lab recovery services available for everyone. Gillware was the first to offer financially risk-free procedures with free in-lab evaluations and no upfront costs or fees for unsuccessful recovery attempts. Every data recovery company makes big promises and touts its success rates, but the truth is, even if a lab has a 99.8% success rate, you could be part of the 0.2% of customers whose most important data just can’t be recovered. The entire reason Gillware exists at all is that in a world where data recovery is not always possible, things like upfront costs for data recovery work, charges for in-lab evaluations, cancellation fees, and fees for unsuccessful recovery work will inevitably make you feel like you’ve just been fleeced. You paid for a service and received nothing from it. The data recovery landscape has changed much in the past fifteen years, with many other data recovery labs now offering the services Gillware originally pioneered. While there are only a handful of professional data recovery labs in the United States, data recovery is a more customer-friendly field than it was fifteen years ago (and we’d like to take some of the credit for that). First things first, a data recovery needs… a lab. A proper lab, one in which failed storage media (such as hard disk drives) can be safely repaired without introducing contaminants into the devices’ delicate innards. A hard disk drive, for example, should only ever be opened up and worked on in an environment that meets ISO 5 Class 100 standards. To you, that might look like just a meaningless string of buzzwords designed to impress you, but what ISO standards refer to is basically how many small particles per cubic foot are permitted in the air. For example, ISO 5 Class 100 means that there can only be at most 100,000 0.5-micrometer particles per cubic meter of air, which is the level of cleanliness an engineer needs in order to avoid letting dust particles into a hard drive while working on it, which can cause complications and defeat the purpose of any repairs made. Descending numbers of ISO ratings correspond to decreased particle tolerance and higher cleanliness. But any higher standards than ISO 5, for the purposes of data recovery at least, are, quite frankly, overkill. If you see a lab advertise ISO 4 or below, all that really means is that they’re spending money they don’t need on a cleanroom that they don’t need in order to impress you and passing the cost to you. When people think of cleanrooms, they think of… well, rooms. A perfectly white, perfectly sterile room with four walls, a floor, and a ceiling designed to keep so much as a single germ out. This is the kind of cleanroom you see in sci-fi thriller movies about genetically-engineered pathogens that can wipe out all of humanity. For hard drive repair, though, it’s overkill. Full cleanroom enclosures are big, expensive to set up, expensive to maintain, and hard to move. One of the ways Gillware has managed to keep the costs of data recovery down without sacrificing the quality of work is by using modular cleanroom benches. While perhaps not quite as photogenic, these units provide the same clean workspace for our engineers and are audited quarterly by independent inspectors, and money Gillware saves on maintenance and upkeep translates into lower costs for our customers. Of course, a lab is useless without the people to fill it. A data recovery lab needs people who can handle just about every situation. It needs veteran computer engineers who know the ins and outs of every single kind of RAID array and understand virtualization top to bottom. It needs computer engineers who know so much about how various file systems work that the only people who know more are the people who made them in the first place. It needs people who can learn to read a hard drive’s firmware, people with steady hands who can swap out a set of failed read/write heads, electrical engineers, and so much more. Gillware is a preferred data recovery company for tens of thousands of clients across America and the rest of the world, successfully solving over 15,000 data recovery cases per year. Gillware Data Recovery helps thousands of computer repair professionals, IT consultants, managed service providers, corporate IT departments, small business owners, university IT departments, and end user across the world every year. Our data recovery partners include over 5,000 computer repair businesses and managed IT services providers across the United States. These thousands of partners trust us as the best choice for their customers’ and clients’ data recovery needs. Our partnerships are symbiotic relationships, allowing small businesses in the industry to grow and widen the array of services they offer to customers in need. If you often encounter customers and clients in need of data recovery services at your business and wish you could do more to help them, get in touch with us to talk about becoming a Gillware Partner. Among other worldwide vendors, Gillware Data Recovery also has a data recovery partnership with Dell. If your hard drive has failed and you own a Dell PC, simply get in touch with a Dell support agent. Gillware will then work with you and your Dell support agent to recover your data. Dell will either help you send your hard drive to us or provide you with access to RecoverBot, a stripped-down version of our forensic analysis software for use outside our lab. Gillware has the seal of approval from a number of different independent review organizations, including SOC 2 Type II audit status, so our customers can be sure they’re getting the best data recovery services possible. Still don’t know if we’re the right data recovery company for you? Ready to let the best data recovery company in the world come to your aid? Whether it’s your desktop or laptop PC, an external hard drive or another USB device, your phone or tablet, or a server or NAS device, Gillware has the tools to reunite you with your data. Once you’ve submitted a data recovery case through our secure online portal, sending your failed storage device to Gillware’s lab is simple. All you have to do is package your device (with plenty of padding), then affix the printable shipping label we provide you to the box and drop off the box at any UPS drop-off site. We’ll let you know as soon as your device reaches our lab. Once our engineers perform a free in-lab evaluation, run their diagnostics, and determine how much data is recoverable and how much work we’ll need to do, we will give you a firm price quote for further data recovery efforts and work with you to define clear goals for our engineers. You will not pay us a dime unless we meet your goals at a price that makes sense to you.